Following on from their screening at BFI Southbank, BBC Four is broadcasting Animation 2018 – 13 short animations from the most dynamic and exciting new and emerging talent working in UK today. Broadcast in four subject groups: Animals, Other Worlds, Obsession and Love, they are introduced by 3 times BAFTA nominated animator and director, Osbert Parker. Between them the films take very different approaches, using styles and techniques ranging from hand-drawn images to live-action puppetry, stop-motion, CG, 2D and 3D and covering genres from sci-fi to documentary, from tragedy to farce. This is the second time Wingspan Productions has collaborated with BBC Four and BFI to produce and manage a scheme designed to support fresh talent. The last, Listen to Britain 2017, celebrated British documentary filmmaking and has already acted as a launch pad for a number of promising careers across broadcast and film. An animation about disability - and how a resourceful penguin with only one flipper becomes the envy of her colony. A little bird, Tody, works at an oppressive packaging factory. When a box arrives heading to his home island Tody sees his chance to escape. 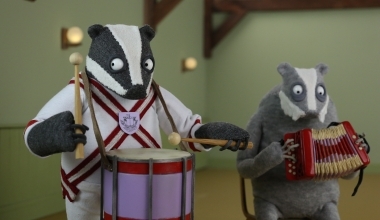 A post-Brexit pagan dance fantasy about a troupe of Morris-dancing badgers forced to confront the animals quarantined in a facility built above their burrow. Combining 16mm colour footage of Lagos, Nigeria from the 70s with stop motion and 2D hand drawn animation, this multi-layered autobiographical animation explores personal memory. A short stop frame animation following a lonely Inuit who struggles to survive after an oil tanker leaks oil off the coast of Alaska, killing all the wildlife in the area. In this epic sci-fi animation set in an alien world, a child discovers a dark secret at their parent's factory and must choose between what is right and what is easy. A comedic look at how our brains can keep us awake at night and the mercurial nature of memory, mixing live-action puppetry and expressive hand drawn animation. 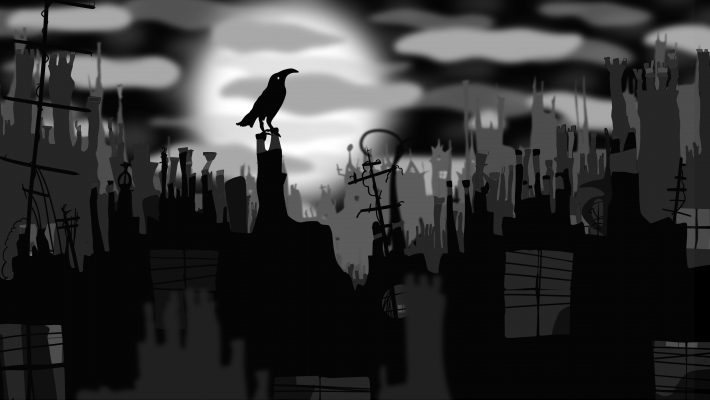 An original fairy tale, exploring the nature of monsters and madness, set in a ravaged London after a terrible war. Set in a dying industrial town, Sleeper tells the story of Frank, a recluse who wakes each day to a strange anomaly on the horizon. An octogenarian love story - Old Eric is tired of life without his dear wife, Elsie, but in his darkest moment she shows him that true love never dies. Mary and Archie are obsessive shavers. Archie hates hair and Mary loves Archie. But when Mary wonders what might happen if she let it grow, it threatens their relationship. A curious woman creates her own perfect partner - a beautiful, talking giant slug. Has she found the formula for total perfection?